The heat of summer is a grave risk for older adults. The National Safety Council (http://www.nsc.org/) gives easy to apply guidelines to outsmart the heat when the thermometer rises. Their advice offsets the serious health risks that adults with chronic medical conditions encounter. What factors directly affect the risks? Some include lack of fluids,the absence of cold air-conditioning, excessive clothing, overcrowded places, and physical inactivity, and access to transportation. What can people do to avoid the risks of heat and humidity? The Council suggests, wear appropriate clothing, put on a wide-brimmed hat, take frequent water breaks, apply sunscreen, and never leave a child or pet unattended in a vehicle. Older adults need to remain indoors where it's cool. For those living without air conditioning, visit public places like the local library, the shopping mall, the local senior center, or movie theaters. And if you're under or overweight or drinking alcoholic beverages, could make you vulnerable to heat-induced illnesses. So, keep a watchful eye on severe cramping, nausea, headache, extreme thirst, weakness, dizziness, and confusion. The Centers for Disease Control says that older bodies have difficulties regulating its temperature. The elderly, the young, the obese, and individuals living with compromised immune systems are at greater risk, especially individuals taking antihistamines, antipsychotic medications, and cocaine. High humidity like the kind we have in the south because it interferes with the evaporation of sweat, a body's way of cooling itself. --If you suspect a heat stroke, you must get immediate treatment to avoid organ damage. --Call (911) immediately and give first aid until EMS arrives. --Secondly, cool-down the victim. Take them to a shady area and remove some of the clothing. Apply warmish water to the skin and fan the individual to promote sweating and evaporation. Put ice packs under the armpits and groin area. --If the victim can drink liquids, give them cool water. Do not give them caffeine or alcohol. --Monitor their temperature with a thermometer and continue with the cool-down efforts until the temperature reaches 101 to 102 F (38.3 to 38.8 C). --The safest time to avoid heat exposure is during the hottest part of the day, around noontime. To prevent a heat stroke, drink lots of fluids to avoid dehydration and lessen vigorous activities in hot and humid weather. 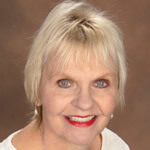 Carol Marak, editor at SeniorCare.com. She's earned a Certificate in the Fundamentals of Gerontology from the University of CA, Davis.